Among the masters of twentieth-century literature, Giorgio Bassani and his Northern Italian hometown of Ferrara "are as inseparable as James Joyce and Dublin or Italo Svevo and Trieste" (from the Introduction). Now published in English for the first time as the unified masterwork Bassani intended, The Novel of Ferrara brings together Bassani's six classics, fully revised by the author at the end of his life: Within the Walls, The Gold-Rimmed Spectacles, The Garden of the Finzi-Continis, Behind the Door, The Heron, and The Smell of Hay. Set in the northern Italian town of Ferrara before, during, and after the Second World War, these interlocking stories present a fully rounded world of unforgettable characters: the respected doctor whose homosexuality is tolerated until he is humiliatingly exposed by an exploitative youth; a survivor of the Nazi death camps whose neighbors' celebration of his return gradually turns to ostracism; a young man discovering the ugly, treacherous price that people will pay for a sense of belonging; the Jewish aristocrat whose social position has been erased; the indomitable schoolteacher, Celia Trotti, whose Communist idealism disturbs and challenges a postwar generation. The Novel of Ferrara memorializes not only the Ferrarese people, but the city itself, which assumes a character and a voice deeply inflected by the Jewish community to which the narrator belongs. 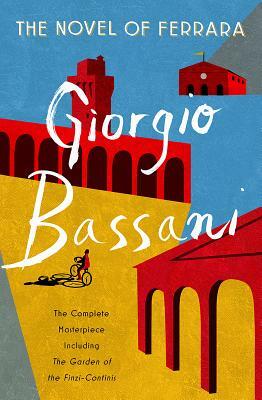 Suffused with new life by acclaimed translator and poet Jamie McKendrick, this seminal work seals Bassani's reputation as "a quietly insistent chronicler of our age's various menaces to liberty" (Jonathan Keates).